My nomination for the most influential political leader of the twentieth century would be Mohandas K. Gandhi. “One has to speak out and stand up for one’s convictions. Inaction at a time of conflagration is inexcusable.” — Mahatma Gandhi. The basic principles of Gandhi’s philosophy of non-violence (ahimsa) and non-violent action (satyagraha) were chosen by Thomas Merton for this compendium in 1965. In his challenging introduction, Merton emphasizes action rather than pacifism as essential to non-violence, and illustrates how the foundations of Gandhi’s universal truths are linked to traditional Hindu Dharma, the Greek philosophers, and the teachings of Jesus Christ. 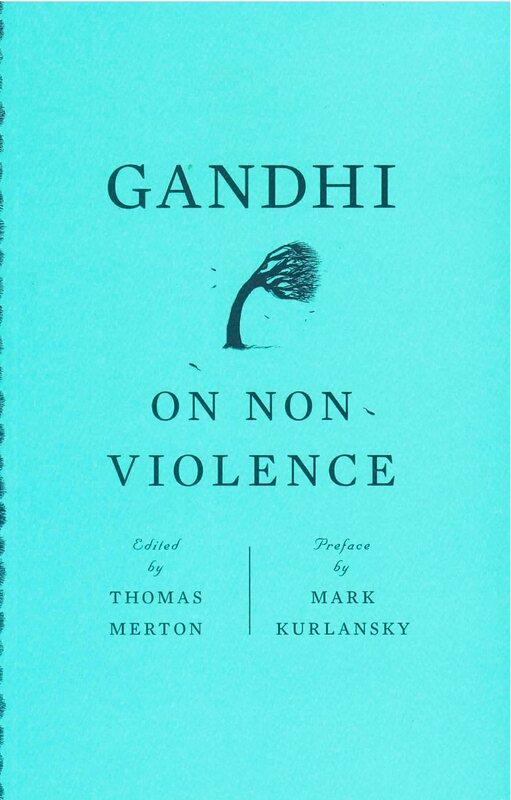 For Gandhi non-violence was also very personal, as Merton observes: “the spirit of non-violence sprang from an inner realization of spiritual unity in himself.” Kurlansky’s new Preface offers further insight into Gandhi’s character as well as the relevance of his ongoing political legacy.